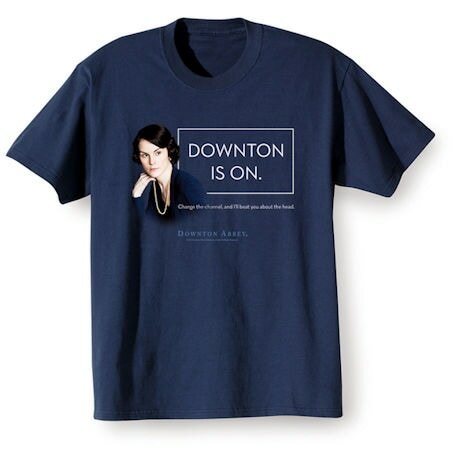 For five years, "Downton Abbey" has kept us glued to our televisions on Sunday nights. In the sixth and final season, it's even more important that our viewing not be disturbed. 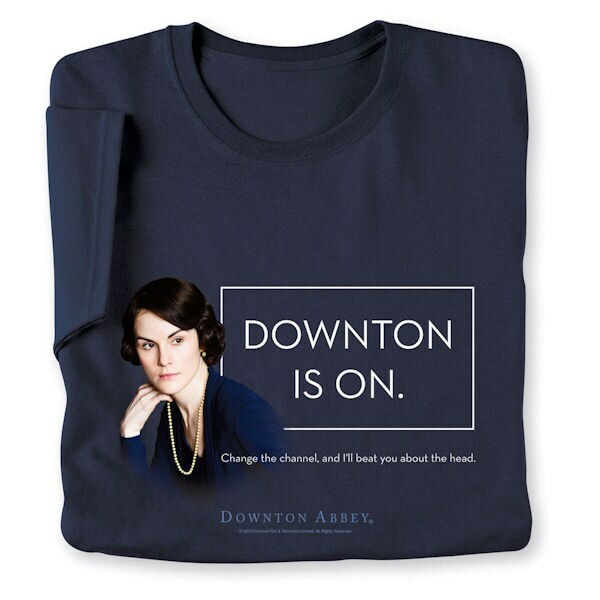 As this shirt says in words inspired by Lady Mary, "Change the channel and I'll beat you about the head." Navy T-shirt is preshrunk 100% cotton. Sizes S-3XL. Imported.